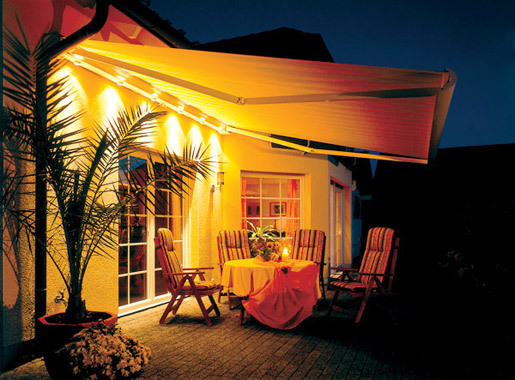 Blindfolded supply and fit a wide range of quality patio awnings for domestic and commercial use – all with a 5 year guarantee. 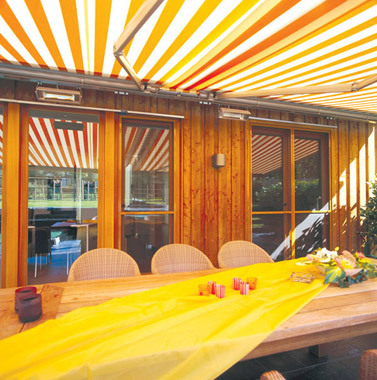 Our awnings are operated manually or by remote control as well as automatically via sun and wind sensors for added safety. 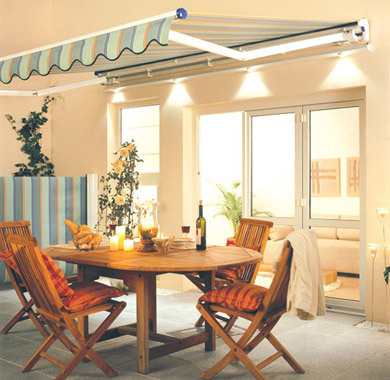 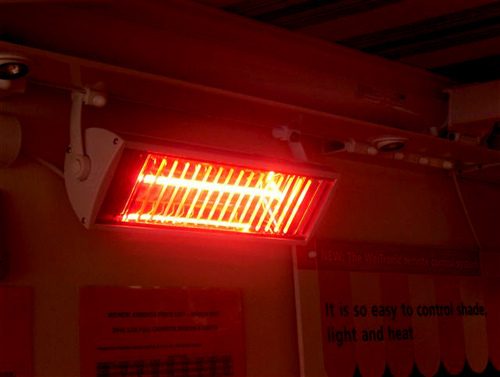 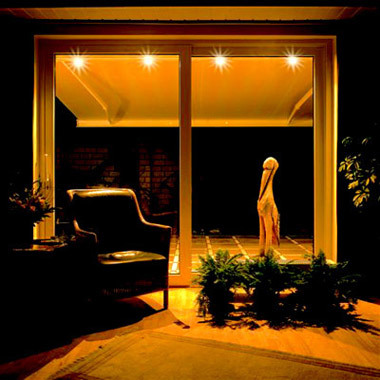 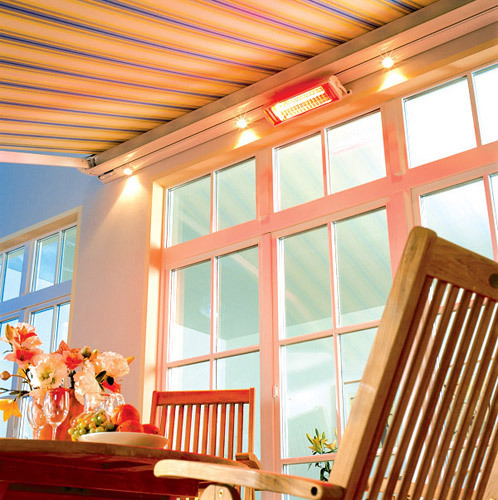 As an option our patio awnings can be fitted with integral lighting and Tempura heaters all of which are operated and dimmable via one remote control unit. 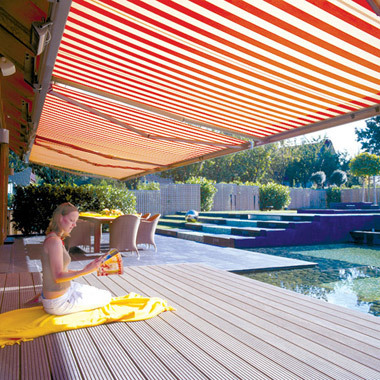 Patio awnings are an ideal addition in providing shade and privacy with an exciting range of prints or plain fabrics to choose from. 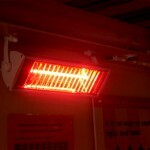 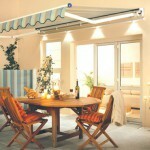 They can be fitted to houses, bungalows and single floor extensions with a vast array of fixing brackets. 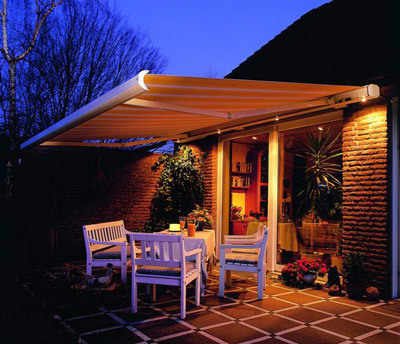 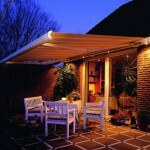 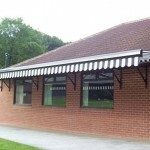 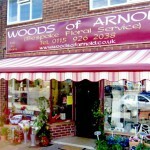 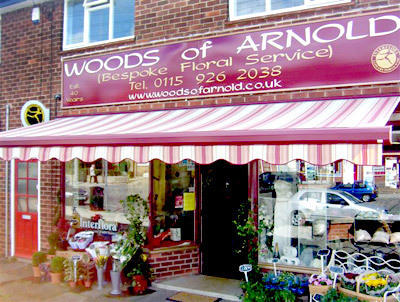 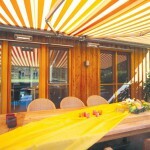 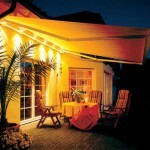 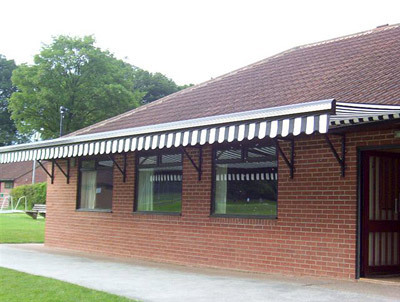 Our awnings are manufactured in Germany to the highest standards by Weinor. 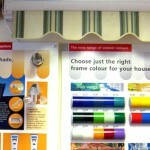 Blindfolded are Weinor’s UK preferred supplier. 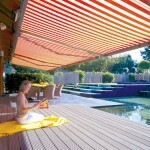 Parasols and awnings are the perfect smoking ban solution. 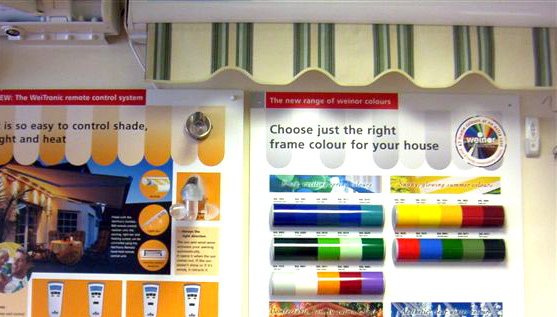 For more information you can call us on Nottingham 0115 955 4766, email us or request a callback.